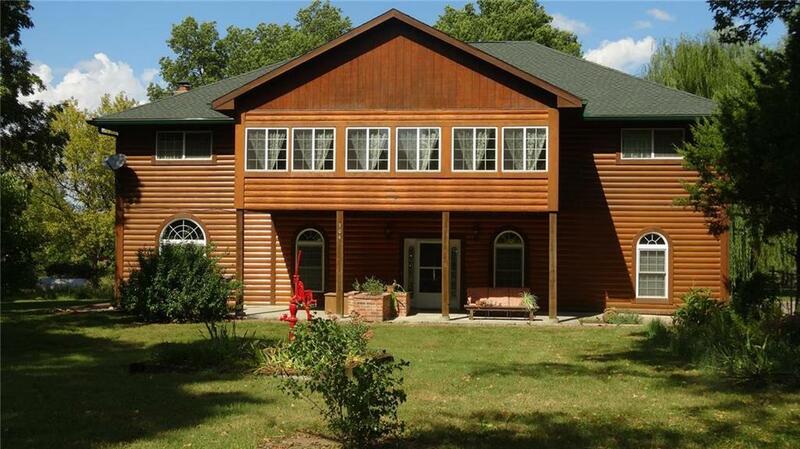 MOVE IN READY half/log sided home with a 40x60 steel outbuilding on 1.8 acres. Conveniently located a mile from Hwy. 49/71 for easy city access! Home features energy efficient 10" exterior walls, 10â ceilings, spacious rooms, beautiful woodwork and ceiling fans throughout. Kitchen and living area on each floor makes this home ideal for a large family, mother-in-law suite, or income producing property. The finished outbuilding is perfect for a shop, RV, boat storage, etc. A must see tree shaded property! Directions: I 49 South to Archie exit, go right and follow A highway into town, and their will be a pointer sign on A highway just past Truman Road on the right. This will be the access to the property. The property sits behind another home. Their is a 40 ft. easement on the East side and also access off of A Highway in front but not used.